Video reveals the process behind "Designing Facebook Home"
A 40 minute video produced by the Facebook Home design team shows the process that resulted in the Facebook Home launcher. Whether you like the app or not, the video is an interesting look at how decisions are made, ideas get played with until the final product is finally shaped after many different things are tried. As Facebook's Julie Zhuo notes, "The things that the articles never write about is the journey." 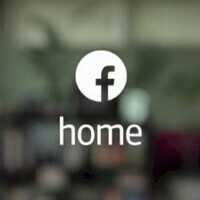 This is the video detailing the journey that ended at Facebook Home. Designer Justin Stahl discusses how an ad for Iron Man 3 led to the idea for Cover Feed. But don't get the idea that everything came to Stahl like Paul McCartney awakening after dreaming the tune to Yesterday. One of the problems was how to let Facebook Home users access their apps. Facebook's Francis Luu revealed that the pre-packaged Lunchables meal for kids was the inspiration for a tray of apps that was going to be presented as Launchables. Instead, that turned into Dock, which offers users a row of their favorite apps found at the bottom of the launcher. The video is called "Designing Home" and it offers viewers a fascinating look at how an app like Facebook Home goes from an idea to a listing in the Google Play Store. What makes it so interesting is the insight into how decisions are made, which ideas are kept and which ones are discarded and why. You can check it out by clicking on the video below. FB apps w/ lots of bugs every after updates & it gets worst every update. Started the video, immediately stopped... 49+ minutes long is a turn off Facebook, if you're not giving out coke & popcorn.